Are you looking to remodel your kitchen? Do you have a strict budget? 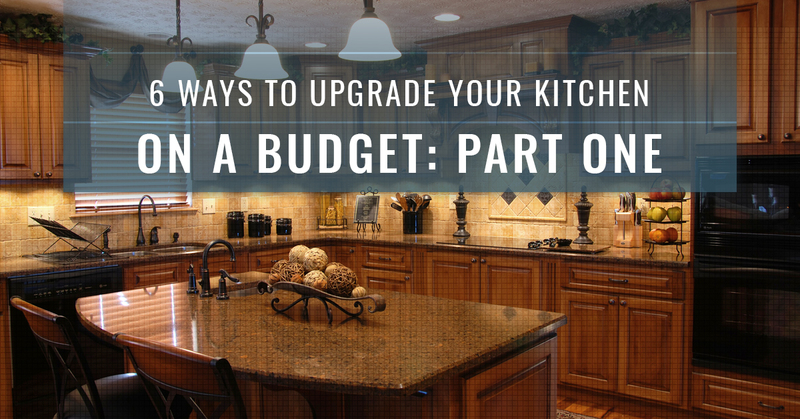 In this post, we’ll be sharing six ways you can upgrade your kitchen on a hard budget. It’s important to keep a few things in mind when you’re planning your renovation like costs, timeline, and accessibility. Nonetheless, a part of your kitchen update may include the floors. At Transworld Tile, we offer hundreds of tile flooring options like stone, marble, glass, and more. You can give us a call today or stop by our showroom when you’re in the Northridge area. We have customers visit us from Los Angeles, Thousand Oaks, and San Fernando. Otherwise, continue reading this blog series to learn more! The style of the lighting fixtures or the color of the lighting can change the ambiance of almost any room. When you choose white light over yellow or gold light, you alter how your kitchen design looks just enough to give it a different feel. Furthermore, lighting fixtures can help change the aesthetics of a room enough to make it look different. A kitchen upgrade doesn’t have to be a complete floor or countertop replacement. You can simply add or update the hardware like cabinet and drawer handles to get a different effect in the space. Think about non-stationary hardware like accent pieces and actual kitchen utility features. 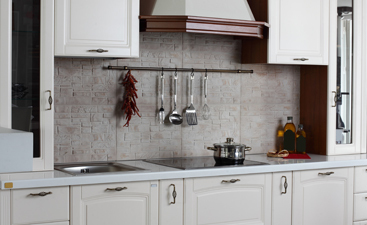 These are great components to change, update, or upgrade to get a new feel in the kitchen. From the dish-towel rack to the centerpiece on your island, you can add, subtract, or update various accessory pieces to add a new feel to the space. Something as simple as adding a vase with flowers can brighten a kitchen enough to make it feel different. A new coat of paint, either in the same color or a new color, can make a huge difference when trying to update a kitchen. The new gloss or sheen of fresh paint will draw the eye and revitalize the original concept of your kitchen. In the same vein as tip #4, you can paint half your cabinets to create a contrasted look between colors. You can paint various components around the kitchen to create various shade differences and bring character to the space. Light features like sconces, hoods, and more can accent a space with different types of lighting. This can create various feels through the space, and can emphasize other certain features. 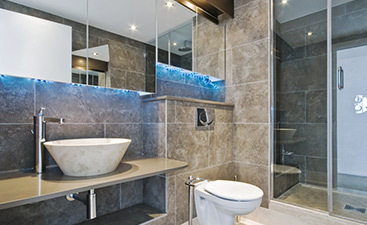 Remember to consult your overall style to get the best lighting features possible. 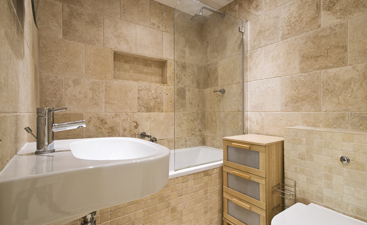 When it comes to tile and design, you can trust Transworld Tile. We’ve been serving Los Angeles, San Fernando, and Thousand Oaks for more than 30 years. We know what it takes to make a kitchen look fantastic, whether that be a new floor, countertop, backsplash, or more. Ready to get your kitchen remodel underway? Call us today or visit our location to review our collection. In part two of this blog series, we’ll share six more tips on how to renovate a kitchen on a budget.